YES! 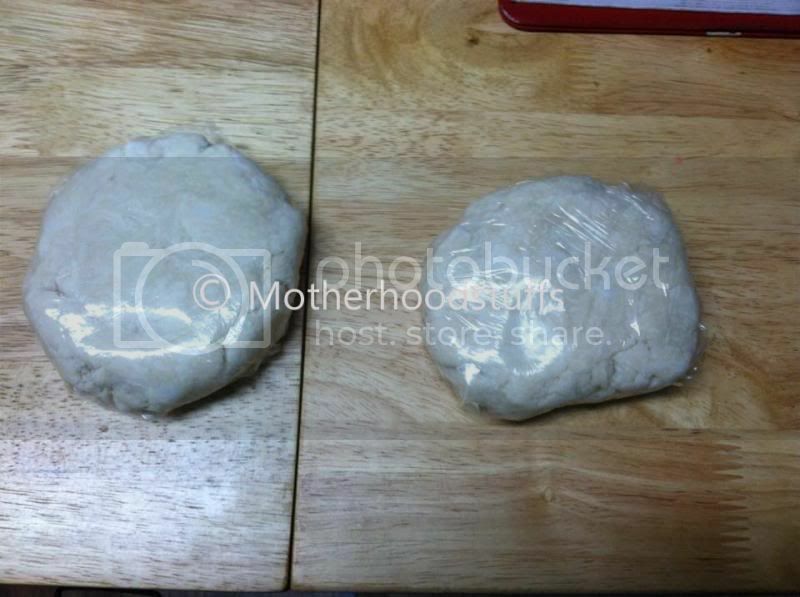 I challenged myself one day to make my own pie crust from a scratch. I figured we had so much flour stocks and it needs to use before it expires. 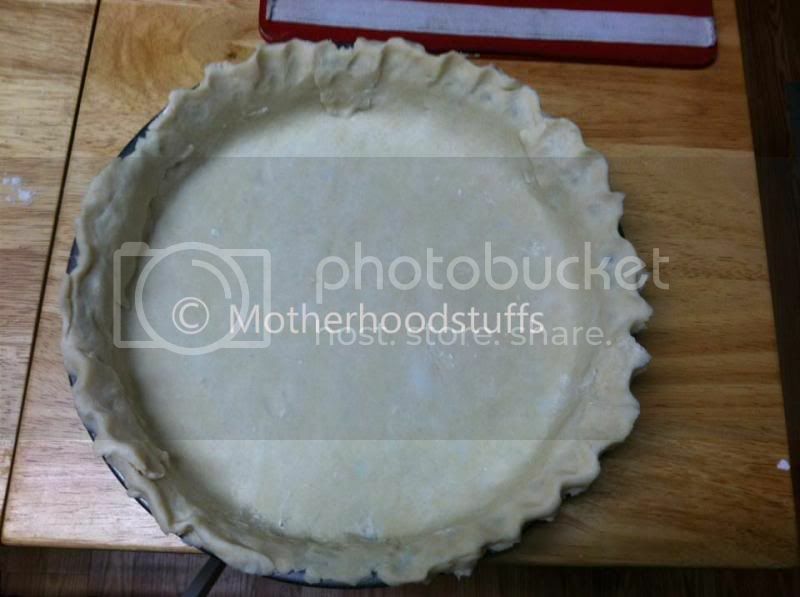 I went online and search for help, seeking for the easiest recipes on how to make a pie crust from a scratch. I am in doubt that it might be too complicated for me, as I am too sluggish to read and understand the procedures I know I thud pathetically. Moreover, I compelled myself not be unconstructive and procrastinate so I found a better YouTube page to help out with my baking. I usually screwed up with the dough making so I wish myself luck. The reason why I decided to make a pie crust is so I could bake an apple pie as I have been craving one after I ate my MIL’s homemade apple pie. We have fresh apples and I can definitely make a homemade filling, which I do find very easy, rather than making a pie crust. After kneading... ready to transfer into the pie pan. My bad, I didn't noticed that I have to cover the edges with foil so it won't burnt...but lesson learn from each mistake..
Anyways, after watching and reading, I have finally dared myself and made it through. It wasn’t a perfect diameter after kneading; nevertheless, it wasn’t a bad outcome for the first time. 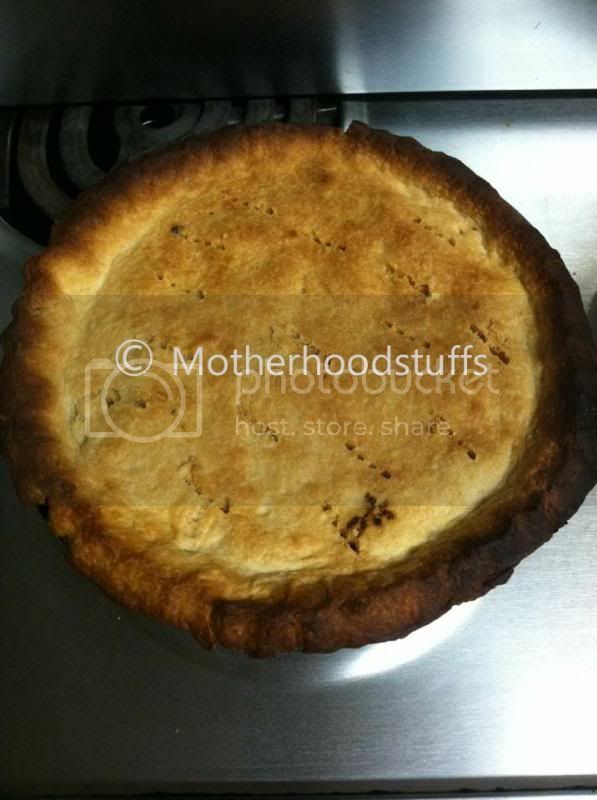 Meaning, the next time I will bake a pie-crust, it would be as simple and easy since I didn’t have any bad experiences. 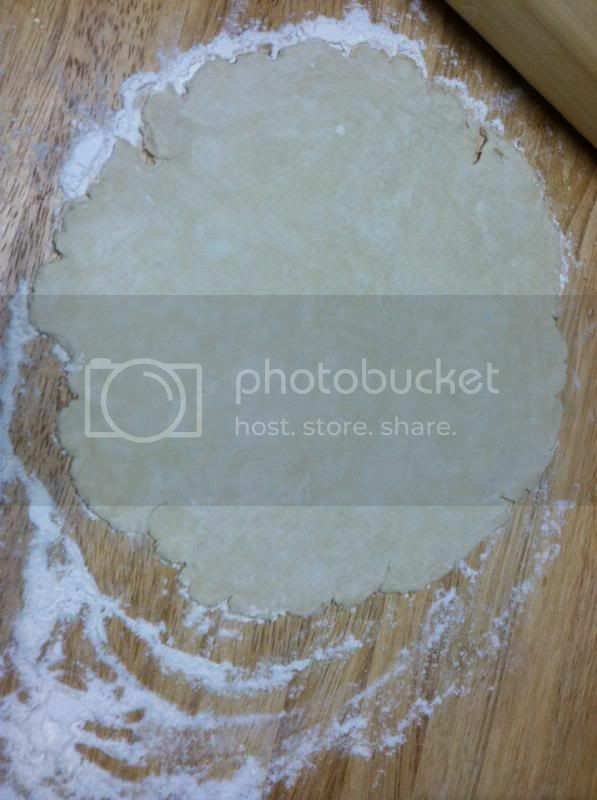 I have now the confident to bake a pie crust. I used to watch my mom bake pie and obviously, my role is the tester. That's awesome, never tried baking a pie nor making a pie crust from scratch, way to go! That's the way baking's meant to be...trial and error, practice makes it perfect. Keep on learning on how to make a crust. very nice! this is my specialty! i love making apple pies and eat it in the morning after my breakfast. nice DIY crust! Not bad for a start! But as what you've said, lesson learned. I also watch my sister bake a pie and she really did good! 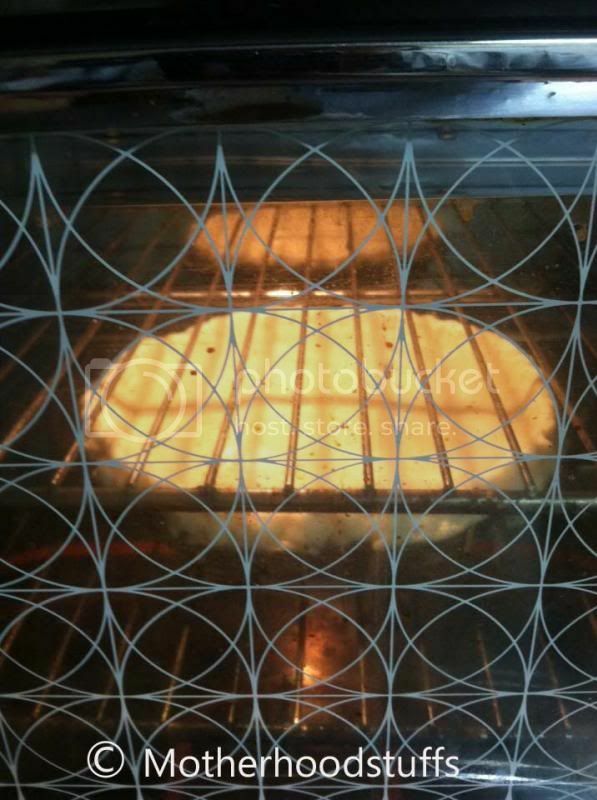 hmmmm congratulations on having baked a pie :) I still have to bake my first pie :) I bet it tastes good! not perfect maybe this time but there is always a first time and am sure next time you will have a perfect one! :) happy cooking! Hindi naman halata na first time. ^_^ For sure your second attempt will be perfect na. I wish to bake my own apple pie someday. Ala pang oven. He-He. I wish I have the courage ot make a pie crust, good for you!